0:24 This is the Mother Box that we saw in Dawn of Justice. They are generally thought to be portable supercomputers, they also have special powers. 0:38 Cyborg is in High School in DC Comics, but he's college age in this film and attending GCU -- Gotham City University. 0:45 Barry Allen watches Rick & Morty on one the far back right screens. Why? Because Rick & Morty is the best. In this ep. Rick & Summer are strengthening up to beat the Devil. Could be foreshadowing? 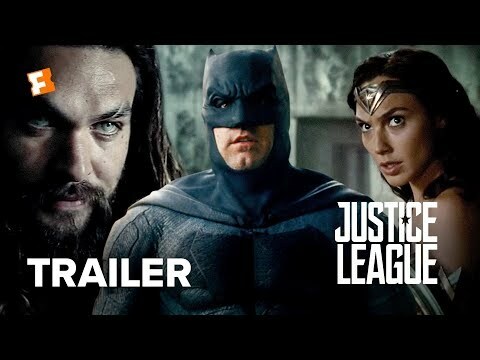 0:20, 1:06 Aquaman has crazy eyes. He can see in the dark, even at the bottom of the sea. 2:15 Interestingly enough, as the four of them walk out we see no Aquaman. Got a theory as to why? Comment below.